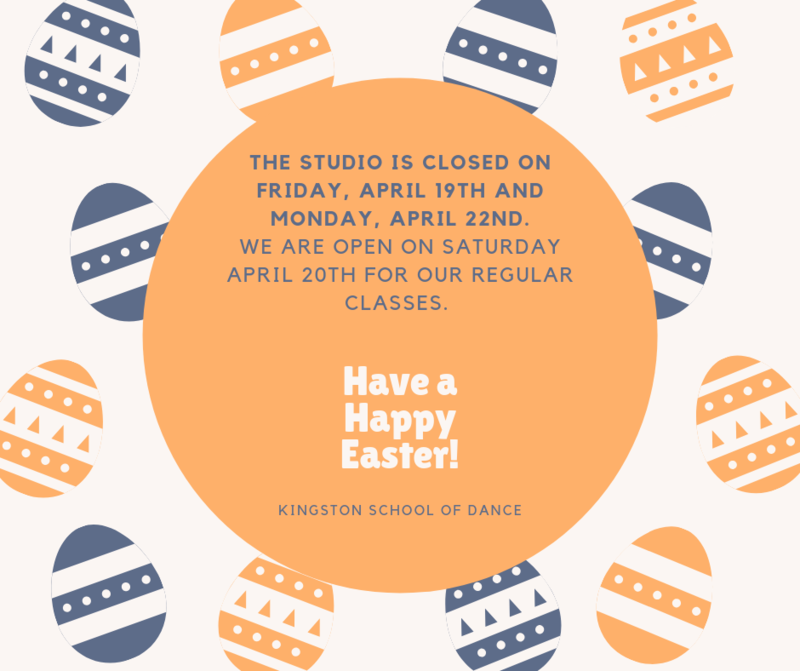 THE STUDIO IS CLOSED ON FRIDAY, APRIL 19TH AND MONDAY, APRIL 22ND. WE ARE OPEN ON SATURDAY APRIL 20TH FOR OUR REGULAR CLASSES. BEST WISHES TO EVERYONE! HAVE A GREAT HOLIDAY.